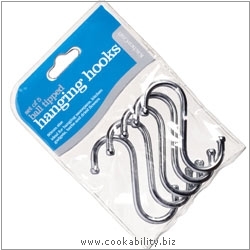 Moulded hanging S hooks with rounded ball ends. Chrome plated finish. Measurements indicated below are the length of the hook from top to bottom.